Buyer’s Guide: Meet and greet us at TYPO SF this week! Attending TYPO SF this week? 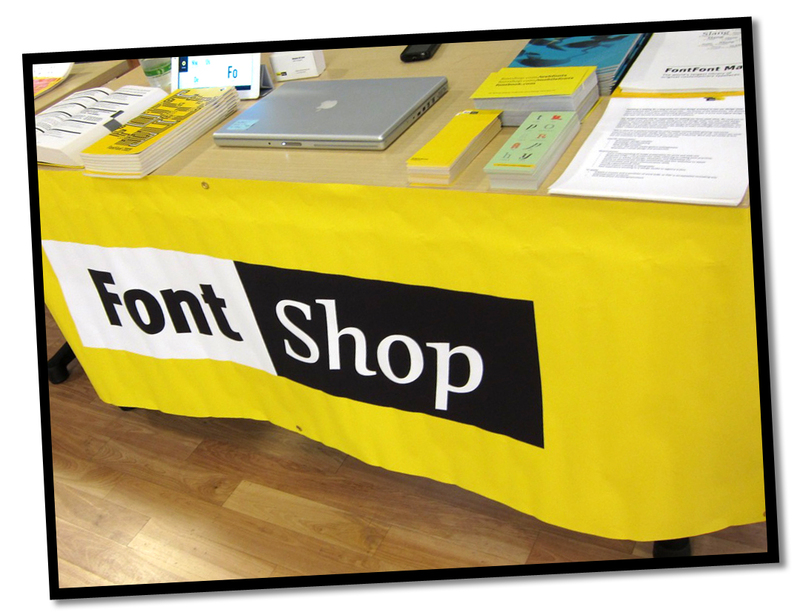 Look for the contrasting color combination of yellow and black this Thursday and Friday to find the FontShop table! Meet our Sales & Support team, Mayene and Theresa, during your breaks or in between speakers — if you have any burning questions about fonts or a font emergency, run over and let us know! You’ll also be able to play with the FontShop Plugin as well as the FontBook app if you don’t have it already and comparatively flip through pages of an ancient FontBook. Stop by and say hello and pick up goodies while they last!